Delhi University is not only one of India’s best universities but is also among the first choice of students who have just completed their high school, and are aspiring for a bright future. Delhi University (DU) has great faculty, and it is one of the leading institutes to carry research. 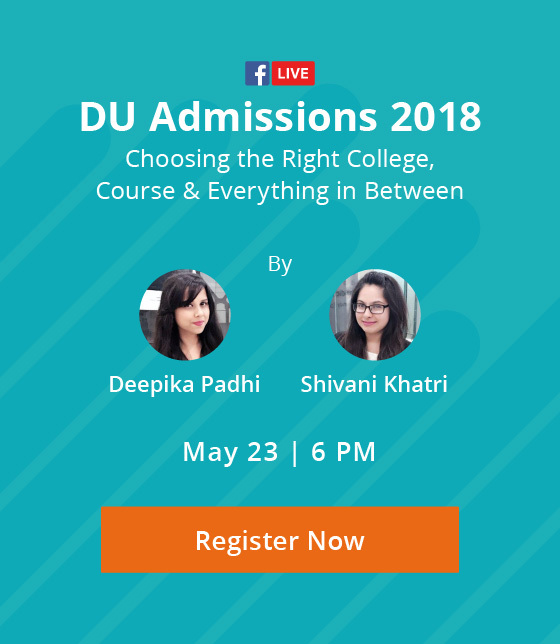 DU is the only university to offer hundreds of courses to suit the interest and ambition of thousands of students, who graduate from the university’s hallowed halls, every year. Additionally, the university has facility for the students to pursue education from School of Open Learning, Cluster Innovation Center and Non-Collegiate women educational board. Although Delhi University offers a wide variety of courses, there are few courses that form the top choices for the lakhs of students who apply to the university each year. Over the past few years, the cut-offs for the various programs of the university have seen a steep rise. 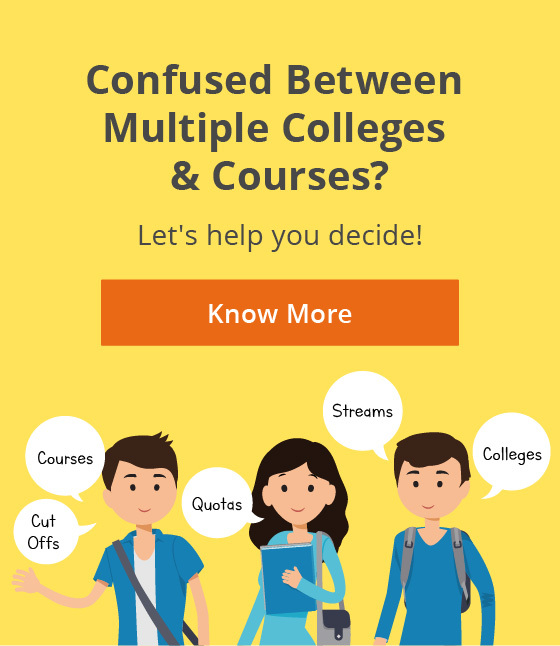 Getting 90% is just not enough to get into the course and the college of your choice. The data from the previous year showcases that B.A. History (Hons) was the most popular course in the first cut-off list, science courses failed to take off in most of the colleges, and Shri Ram College of Commerce, Miranda House, Lady Shri Ram, Ramjas and Sri Venkateshwara College were the most popular colleges. “A book is man’s best friend”. If you believe in this saying, then you are fit for the course. The course requires the students to have an intensive reading of the novels which range from Shakespeare to our Indian ancient authors. Reading and writing skills are required to excel in the course. It was one of the most popular courses in the Delhi University last year with over 90 thousand students applying for less than 5000 seats. Delhi University has removed the entrance exam system for the admission in the course, and now the admission is based on the marks secured by the students in the boards. Teaching, writing, journalism, publishing and translation are some of the top career avenues one can get into. Top colleges for Literature in DU: Jesus & Mary College, LSR, Hindu, St. Stephens, Gargi College, Hans Raj College, Hindu College, Maitreyi College, Miranda House and Sri Venkateshwara College. Do numbers and calculations excite you? If yes, then you should consider one of the most popular courses in the commerce stream. B.Com (Hons.) is the top favourite for people who wish to pursue a career in commerce. Over the few years, there has been a decline in the number of the students applying for the course but the number is still very high to place it in the popular courses. Top DU colleges for B.Com (Hons. ): SRCC, LSR, Hindu, Hansraj, Kirori Mal College, Bhagat Singh and Delhi College of Arts and Commerce. With a record total of 63000+ applicants, last year, Economics (Hons) is among the top choices of the students. The field requires you to have skills to analyze data, and understand the patterns and trends. The students tend to get jobs immediately after their graduation. Students can work in government enterprises, private firms, public undertakings, finance sector, banking firms and business journals. It is one of the leading areas, and its scope is on a rise. The advancement of global economics has widened the horizons for economics graduates. Top Eco (Hons.) Colleges: SRCC, Hindu, Hansraj college, St. Stephens, LSR, JMC, KMC and Shaheed Bhagat Singh College. The course introduces you to the political setup of various countries in the world. It has been observed that with the increase in the students’ interest for the I.A.S, there is a parallel increase in the students opting for the course. Political advisory, NGO sector, Civil Services, teaching, journalism and social research are some of the areas where Pol Science graduates work after their education. Best DU colleges for Political Science: LSR, Hindu College, Hans Raj, Daulat Ram College, Jesus & Mary College, Kamla Nehru College. Amongst the Science courses, B.Sc (Chemistry Hons.) is the preferred choice of students aspiring to study at the coveted DU. The course received over 64 thousand applications, which was followed by B.Sc (Physics Hons.) with approx. 61 thousand student applications. The university has also introduced B.Tech in Forensic Science which received 35 thousand applications. The course is now being offered by only one college – SGTB Khalsa College. Next ArticleWhat makes Delhi University so elusive – specialties, culture and why it is so sought after?